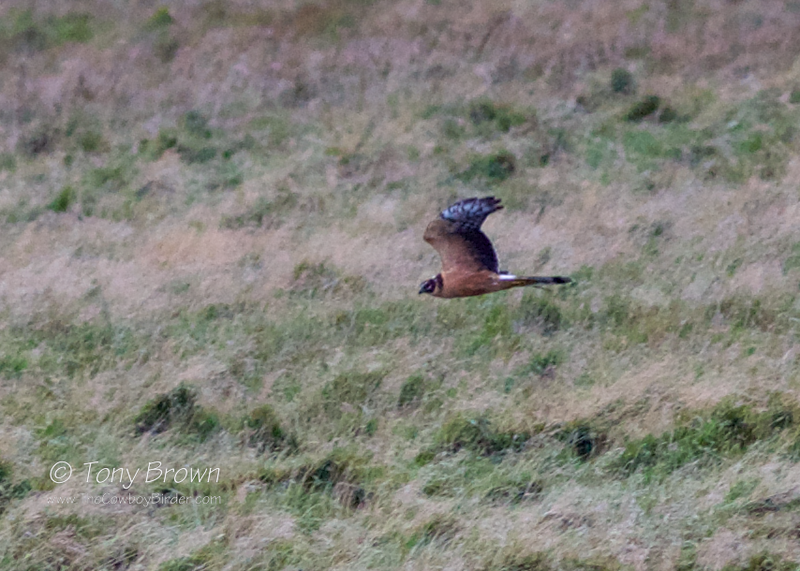 Undoubtedly the highlight from the week on Shetland had to be the Rubythroat but witnessing a stunning juvenile Pallid Harrier hunt over the open grassland and moors surrounding the airfield at Tingwall came a close second. After seeing the Hornemann's Arctic Redpoll at Veensgarth, and although nice this was, it was a little under whelming as the bird wasn't quite the big snowball I had hoped for but a rather plainer looking 1st-winter female, the team decided to head the short distance to Tingwall in hope of catching up with the juvenile Pallid Harrier which had been reported in the area for the last few days and whilst we still had some light left in the day - but in all honesty I didn't think we had much chance of seeing it giving size of the area and the large range the bird could cover. 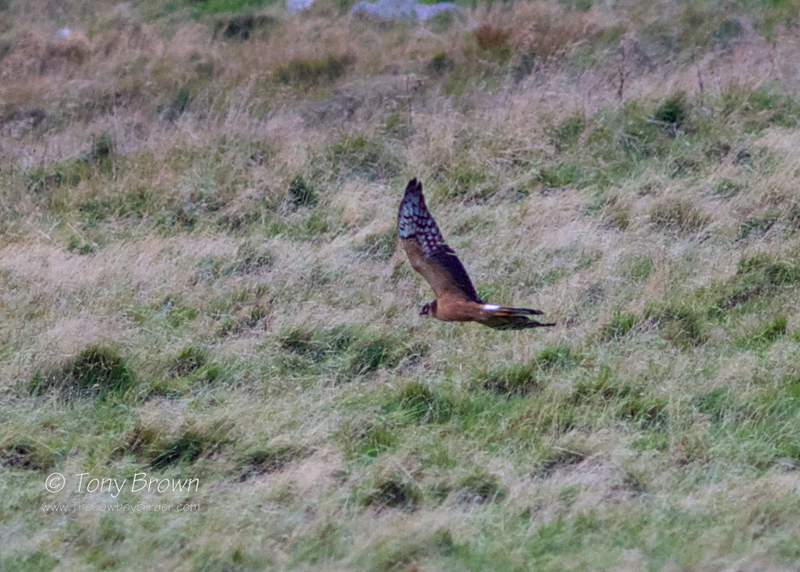 But within minutes of arriving as we stood watching from our vantage point on slightly higher ground above the airfield and sheltered from the elements by a farm building, luck would have it the bird came into view and I was able to enjoy excellent scope views down to less than 30 metres as the bird circled the airfield. At one stage as it passed relatively close by I was so engrossed with watching it hunt, mesmerised by the birds head pattern and soaking up the moment through the scope, I had to be reminded I was carrying a camera, to the point I almost missed the opportunity in getting the photographs below.